Regtech not only promises to improve reporting and compliance, it also promises to enable banks to save a lot of money. 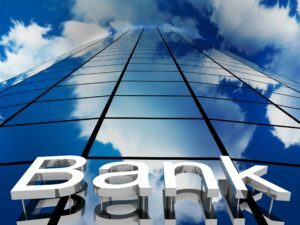 Bain & Company estimates that governance, risk and compliance costs account for 15 to 20% of the total operating cost for most major banks globally in 2016. A LexisNexis Risk Solution research paper found that financial institutions in China, Hong Kong, Malaysia, Indonesia, Thailand and Singapore are spending an estimated US$1.5 billion on anti-money laundering compliance alone. Not only banks have wakened up to the potential of regtech, now regulators too are interested in these technologies. According to a report by the Global Partnership for Financial Inclusion, many regulators in advanced economies have either already updated their market monitoring systems, or are in the process of updating, and in many cases, they are working closely with tech-focused startups to develop these regtech systems. “Some central banks have embarked on initiatives aimed at enhancing internal systems and processes for regulatory reporting and off-site supervision, in a bid to shift away from template-based approaches towards real-time, input-based approaches that enable greater efficiency in the collection of data and information from banks and non-bank financial institutions,” the report says. An example is the Austrian central bank, Oesterreiche Nationalbank (OeNB), which has partnered with the banking industry and regtech solutions provider BearingPoint to introduce a new software platform to streamline the data collection and regulatory report process for banks in Austria. The OeNB is using BearingPoint’s AuRep solution, which runs on BearingPoint ABACUS/GMP, a common software platform that works as the central interface between the banks and the central bank. The platform has enabled the OeNB and partnering banks to reduce the cost of regulatory reporting. It has also dramatically reduced the systematic risk exposed to banks by these changes in regulation. A system that could also work well in Singapore. Singapore banks and the MAS could join forces to build “SINRep” a regulatory reporting utility to face the complexities of the regulatory environment. 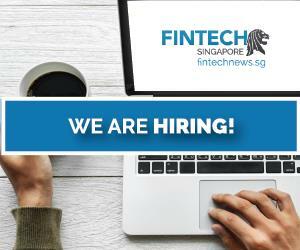 In Asia, Singapore too has its eyes on regtech as it works towards building a “Smart Financial Center.” Last year, the city-state’s central bank and financial regulator the Monetary Authority of Singapore (MAS) hosted Asia’s first regtech-focused event, a move that aimed at demonstrating its commitment to digitalizing every part of its financial sector. 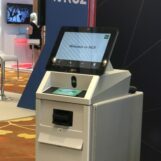 The event, called the ABS-MAS Regtech Forum, was part of the inaugural Singapore Fintech Festival, the world’s first large-scale fintech event. The forum looked at the opportunities and challenges for regtech, and explore how these technologies could enable better compliance solutions, increase efficiency, profitability and reduce barriers to entry to the financial sector. Last June, MAS introduced a regulatory sandbox to enable startups as well as financial institutions to experiment with innovations in a live environment but without disrupting the entire banking system. 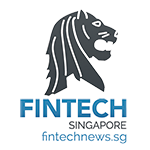 Greg Knieriemen, chief technology strategist at Hitachi Data Systems, told MIS Asia that his firm has been using MAS’ sandbox to test the use of blockchain technology to issue and settle checks in Singapore. The test aims to identify issues from various perspectives such as technology, security, operation and legal. But alongside sandboxes, Asian regulators also need to change existing regulations to enable banks to adopt and benefit from regtech, says Craig Davis, Asia Pacific head of financial risk management at KPMG in Singapore. “Regtech requires a number of other technologies such as the cloud, in order to be viable. MAS has made changes to the outsourcing requirements to enable the cloud to be used. We heard that regulators in Australia and Hong Kong are following suit and planning to enhance their own outsourcing requirements,” Davis told Bank IT Asia. In Singapore, the major changes under the proposed MAS Notices 610/1003 imply increased data volume with more than 100,000 data points, increased data granularity, and increased reporting complexity. According to a spokesperson for BearingPoint, the regulatory changes will pose an indirect challenge for banks and merchant banks to adopt the right reporting solution that can optimize performance, achieve scalability and attain efficient reporting on time. The company has developed Abacus360 Banking, an integrated platform for reporting, risk calculation and controlling regulatory KPIs, that aims to meet this exact challenge. Founded in 1997 and headquartered in the Netherlands, BearingPoint is a multinational management and tech consulting firm that operates in over 20 countries across Europe and Asia. In Asia, BearingPoint has offices in Singapore, Shanghai and Hong Kong, where it serves the financial services industry with its regtech and risktech products and services supporting the entire regulatory value chain. 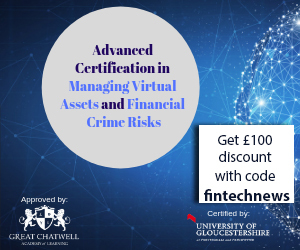 Its customers represent 5,000 firms worldwide, among them large international banks, a major part of the largest European banks, leading insurance companies as well as supervisory authorities and central banks. Abacus360 Banking, a new generation of its recognized Abacus platform, was launched in June. Abacus360 Banking cover all existing Abacus regulatory and risk modules, but also provide additional components as well as an intelligent toolset allowing for tailor-made optimization of regulatory reporting processes, regulatory analytics and regulatory management. Featured image by Sarawut Aiemsinsuk via Shutterstock.com.